It’s never too late to bring your teeth into proper alignment with efficient, highly effective orthodontic treatment. Orthodontic care need not be lengthy and uncomfortable. Our dentists can minimize the amount of time spent wearing orthodontic devices including traditional braces and more cosmetic treatments. 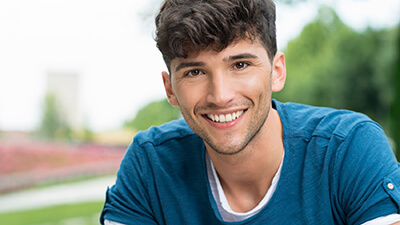 Campbell & Schmidt Cosmetic & Family Dentistry offers the Invisalign® orthodontic system, in which a series of clear, removable aligners are used to gradually straighten teeth more discreetly than traditional metal braces. 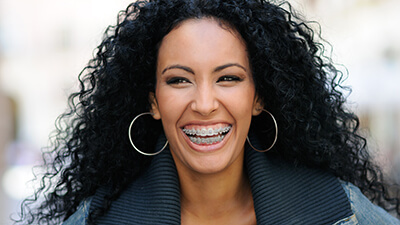 We also offer traditional braces that are usually worn for one to three years, depending on the patient’s age and the severity of the misalignment. In some cases, patients can achieve their desired results by simply wearing a retainer. Please contact our team to schedule an orthodontic consultation. Traditional bracket and wire braces are able to correct even the most severely misaligned smiles. Brackets are placed on the front facing surfaces of teeth, and a series of wires and bands are connected to the brackets and adjusted to place pressure on teeth. The crowns of teeth gradually shift into position, and the pressure on the top portion of teeth causes the underlying, supportive root structure to shift into ideal alignment. Traditional braces take between 18 and 24 months to complete and require patients to attend frequent orthodontic appointments. 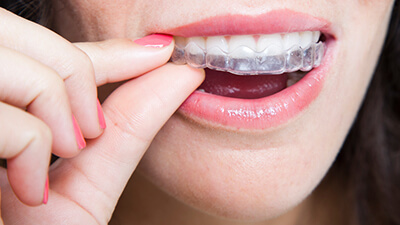 A more cosmetic alternative to traditional orthodontics, the Invisalign alignment tray system shifts teeth into alignment over the course of about a year of treatment. Rather than brackets and wires attached to teeth, the Invisalign system uses a series of clear, plastic aligners to gently shift teeth. Each set of alignment trays represents one step closer to the desired result, and worn for about two weeks, places pressure on teeth moving them to this position without causing patients to change their diet or oral hygiene routine. Fastbraces closely resemble traditional bracket and wire braces, but they are able to more quickly achieve the desired orthodontic results. This is possible due to the unique, triangular design of the Fastbraces brackets. Rather than shifting first the visible portion of the tooth and then the roots, Fastbraces are designed to move the entire tooth simultaneously, cutting treatment time in half for many patients. 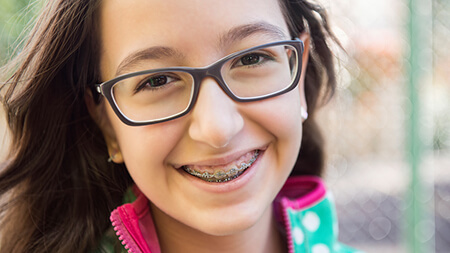 Many patients report the innovative bracket design also improves the comfort of orthodontic care compared with traditional bracket and wire systems.